Suzanne Richard, president of Catawba Island Garden Club, recently presented a $5,000 check to Aimee Arent, Executive Director of Friends of Ottawa National Wildlife Refuge and Justin Woldt, Visitor Services Manager for the U.S. Fish & Wildlife Service located at the Ottawa Wildlife Refuge in Oak Harbor. The $5,000 donation is for construction of the new Ottawa National Wildlife Refuge-West Harbor Landing located on NE Catawba Road, just north of the causeway. The new national refuge will host a fishing platform, shelter and kayak launch. Landscape design created by Ed Urban of Port Clinton will help showcase this new area. Catawba Island Garden Club members are excited about the beautiful perennials and native plants Urban included to attract butterflies. Additional funding is still needed to complete the West Harbor Landing project. To contribute go to www.friendsofottawanwr.org. Fish and Wildlife Service Seeks Input on Hunting Plan OAK HARBOR - Ottawa National Wildlife Refuge Complex, a unit of the National Wildlife Refuge System located in northwestern Ohio, has published a draft hunting plan for the complex. Public comments will be accepted through March 25. The plan may be viewed at fws.gov/refuge/Ottawa/huntplan.html. The proposed changes would increase the number of areas open to hunting to provide more opportunities for hunters. Some of the changes include regulation changes on areas already open to hunting, others changes would open refuge properties that had not been open to hunting before. Some of these areas include newly acquired property. To comment on the draft plan, environmental assessment, or compatibility determination people may download a copy at https://www.fws.gov/refuge/Ottawa/huntplan.html and submit written comments by mail at Ottawa NWR, Attn: Eddy Pausch, 14000 West State Route 2, Oak Harbor, OH 43449 or via email to eddy_pausch@fws.gov. 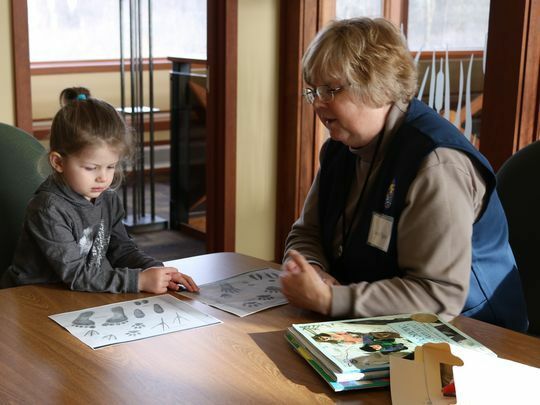 BENTON TOWNSHIP - As cold winds swirled outside on Saturday morning, Evelyn Miller, 3, spotted a large eagles’ nest nestled high in the trees off in the distance from inside at the Ottawa National Wildlife Refuge’s visitors center. ​With help from her mother, Evelyn, of Elmore, peered through the indoor spotting scope to get a closer look at the nest before a blue jay swoops and lands nearby, standing out in the sea of white snow outside...Read more. BENTON TOWNSHIP - For a species on the brink of extinction just decades ago, our country’s majestic national bird, the bald eagle, has made a remarkable comeback and the evidence is perched in northwest Ohio’s backyard. OAK HARBOR - The busy East Toledo street named after Peter Navarre doesn’t much resemble the native wilderness its namesake lived in. Navarre, who lived from 1790 to 1874, was a famed woodsman, hunter, fur trader and frontier scout whose skills aided Oliver Hazard Perry in the Battle of Lake Erie during the War of 1812. 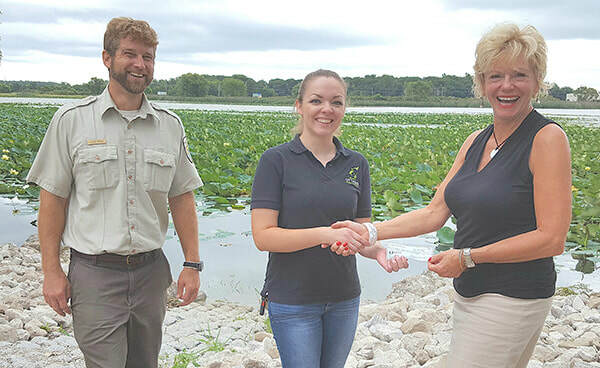 Today, one of Navarre’s descendants, Aimee Arent, is continuing her great-, great-, great-, great-grandfather’s legacy by helping to promote and protect the lakeside area of Ottawa National Wildlife Refuge. Arent’s family has a long history in the area, and she feels tied to it by blood and by the lake. ...Read more. 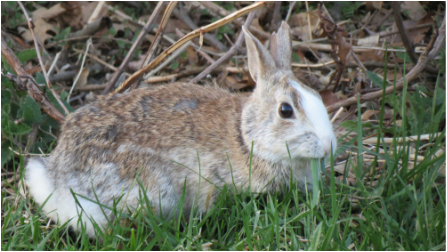 Have you ever wondered what types of pictures 8-12 year old kiddos take at Ottawa National Wildlife Refuge? Check out this great collection taken by our 8-12 year olds attending Expedition Photography Camp this August! ​For more information about camps, call 419-898-0014. Ottawa National Wildlife Refuge becomes First Poo-Poo Project in Ohio. With the purchase and installation of two Poo-Poo Screens, Ottawa National Wildlife Refuge becomes Teton Raptor Center’s first Poo-Poo Project Partner in Ohio. The screens have been placed on ventilation pipes of vault toilets in the National Wildlife Refuge in order to prevent wildlife entrapment and to help create an awareness of this nationwide wildlife hazard. Each year thousands of cavity-nesters, animals that prefer dark, narrow spaces for nesting and roosting, become entrapped in vertical open pipes such as ventilation pipes, claim stakes and chimneys. Vault toilets, the self-contained restrooms found in many of America’s wilderness areas, feature 12” vertical ventilation pipes that mimic the natural cavities preferred by various bird species for nesting and roosting. Once a bird enters a ventilation pipe and is inside the ‘basement’ of the vault toilet, they are permanently stuck and succumb to dehydration, starvation or disease. Compared to other ventilation pipe screening options, Poo-Poo Screens are extremely durable, easy to install, very affordable and have superior ventilation. Teton Raptor Center, a nonprofit raptor conservation organization based in Jackson Hole, Wyoming, created the “Poo-Poo Project” (Port-O-Potty Owl Project) in response to a photo of a Boreal Owl trapped in the bottom of a vault toilet. In 2010, they initiated a community-driven wildlife conservation project to install 100 Poo-Poo screens on the ventilation pipes of vault toilets throughout Wyoming’s Grand Teton National Park, as well as Shoshoni, Bridger-Teton, and Caribou-Targhee National Forests. Including the two Poo-Poo Screens installed at Ottawa National Wildlife Refuge, 187 Poo-Poo Partners have installed 6,855 Poo-Poo Screens in 21 states. The West Sister Island NWR nest count estimates for this 2016 are: great blue herons - 588, great egrets - 840, black-crowned night-herons - 313, double-crested cormorants - 2164, and snowy egret - 10. The work is always present on the National Wildlife Refuge. 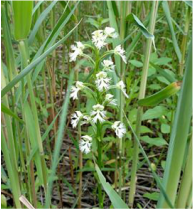 Staff and volunteers work this week to monitor the status of the Eastern Prairie Fringed Orchid. This species was added to the U.S. list of Endangered and Threatened Species on September 28, 1989. The refuge has a small staff that works together as a great team. Repairs were badly needed on a piece of the boardwalk, some staff worked to remove the decking, now maintenance staff are replacing the supports. We also want to give a big welcome to Ramsey Houze our newest staff member, he is on the right in the photo working with Chuck Shier. Ospreys will now have a new nesting platform at the Darby Unit on Ottawa National Wildlife Refuge!! The 200th Red Horse Squadron from Camp Perry provided the nest pole and truck along with the help of some great service members. The staff at Ottawa NWR are always looking to improve wildlife habitat and by developing great partnerships with other organizations this improves our ability to provide quality areas for this species and many others. We have been finding a few monarch caterpillars at Ottawa National Wildlife Refuge! Stop by the Visitor Center to watch their metamorphosis into beautiful butterflies. Click here to learn why this species is in trouble- and what you can do to help! The Youth Waterfowl Hunting Workshop will be October 2, 2016 from noon to 7:12 p.m. Kids 15 years and younger with an adult can learn all about hunting waterfowl. Registration deadline is September 9th, space is limited. A new exotic species in the visitor center. The Pokemon Go craze is everywhere! We have ten miles of hiking trails to hatch your eggs, catch Pokemon, and enjoy nature. Be careful parking for the Pokestop at the entrance sign. It's best to park at the kiosk and walk over to the sign. 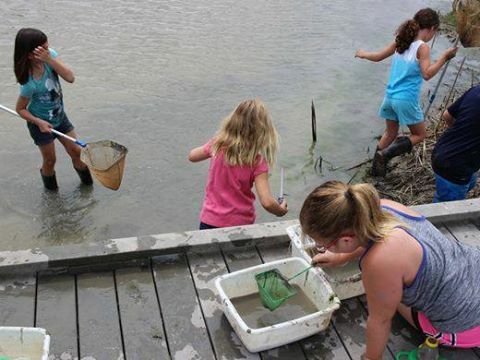 A really great article in the News Herald about Refuge Ranger Day Camp, we love to see the kids perspective. Have you heard of the U.S. Fish & Wildlife Service Field Notes? This is a great resource to learn about what is happening on federal lands across our country. You can search by subject, state or region and then read articles about all kids of critters. Recently I attended one of the most exciting, fun, and amazing events at Ottawa National Wildlife Refuge for an amazing bird count, with some amazing people. We saw not only birds, but we also saw many other wildlife animals and tracks. For example, we had seen three rabbits, two does, squirrels, and many deer tracks. Our nice rangers, Caitlin and Rebecca, helped my group and I recognized all the colorful birds around us and the woods. 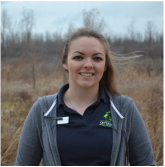 I, Madyson Drouillard, attend Ottawa's Bird Count every year and enjoy learning about the refuge itself and the wildlife around us. I always have fun and learn something new every time. For instance, this trip I learned that Ottawa is 10,000 acres and that there are over 200 species of birds in Michigan alone. The thing I love the most about Ottawa is that it's kid friendly and everybody there is very nice. I had a wonderful time out here at Ottawa and I hope you get to make it next year.